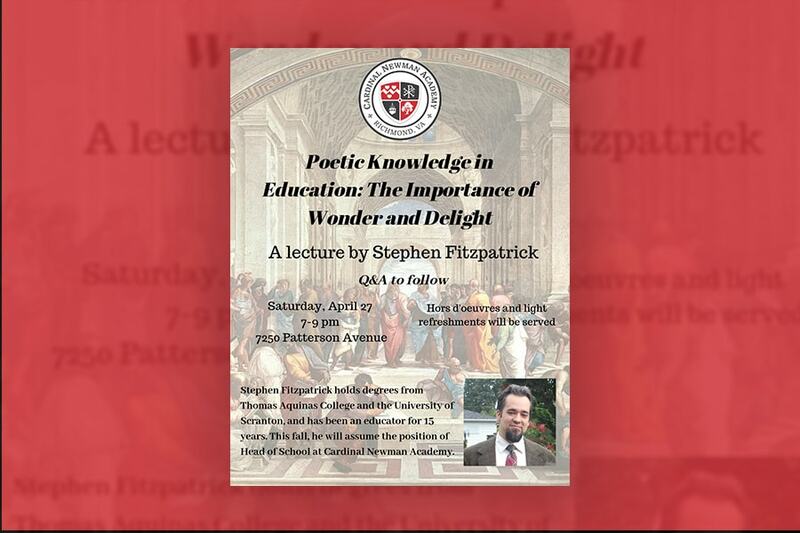 A lecture by Stephen Fitzpatrick. 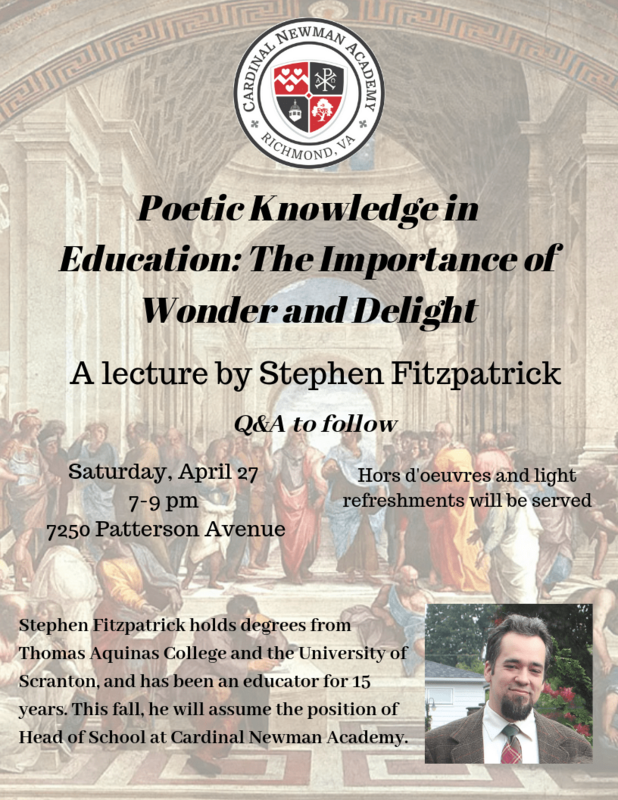 Stephen Fitzpatrick holds degrees from Thomas Aquinas College and the University of Scranton, and has been an educator for 15 years. 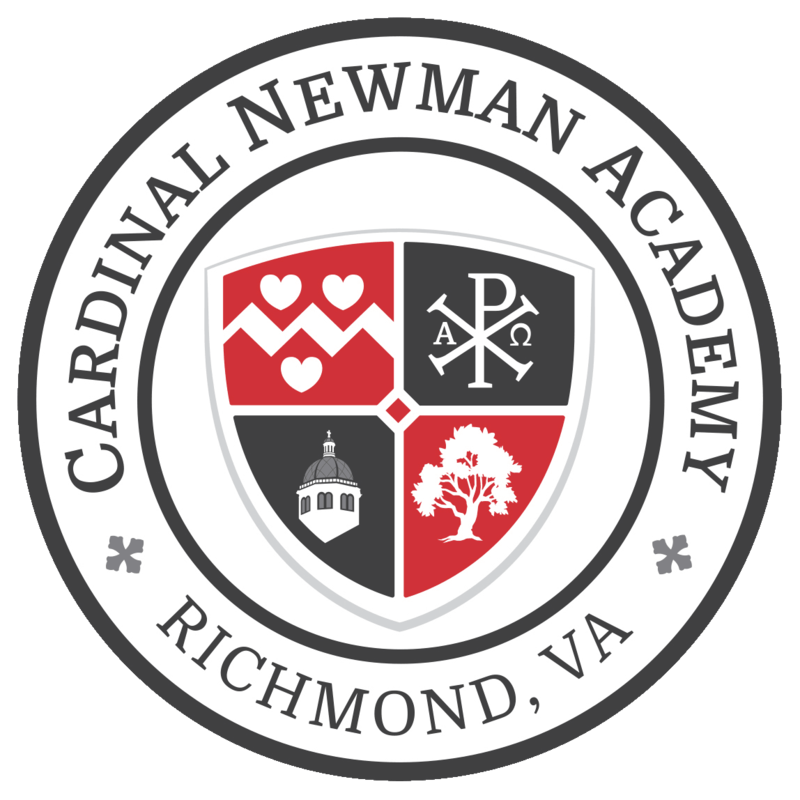 This fall he will assume the position of Head of School at Cardinal Newman Academy. Are you intrigued by math puzzles and brainteasers? Do you enjoy playing logic and strategy games? Do you want to enhance your problem solving and mathematical reasoning skills? 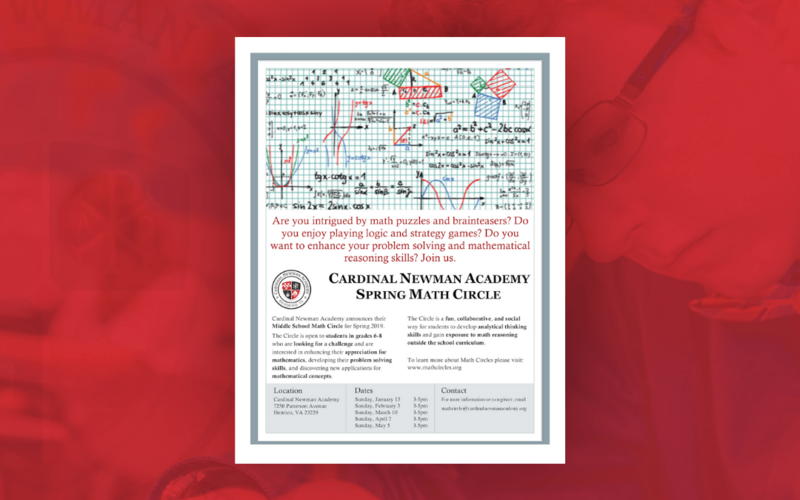 Cardinal Newman Academy announces their Middle School Math Circle for Spring 2019. 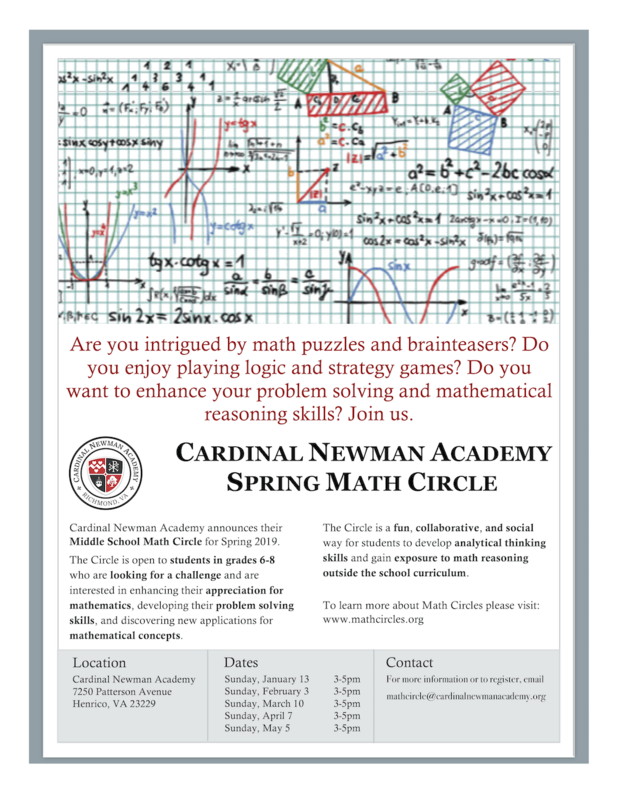 The Circle is open to students in grades 6-8 who are looking for a challenge and are interested in enhancing their appreciation for mathematics, developing their problem solving skills, and discovering new applications for mathematical concepts. 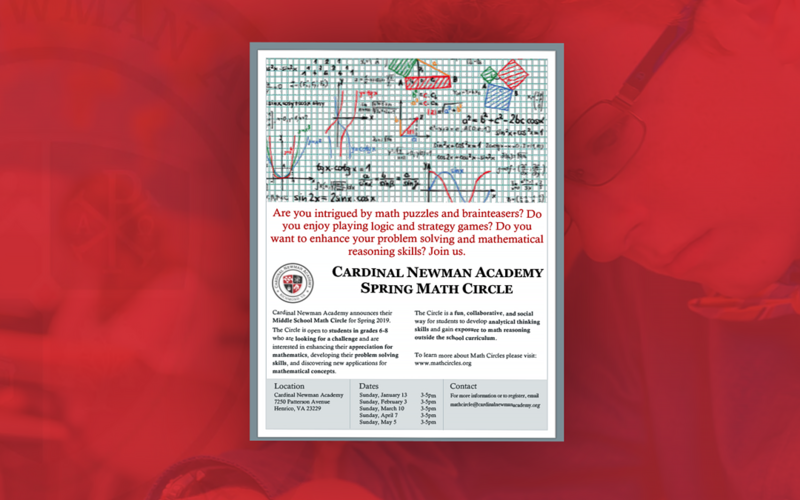 The Circle is a fun, collaborative, and social way for students to develop analytical thinking skills and gain exposure to math reasoning outside the school curriculum. 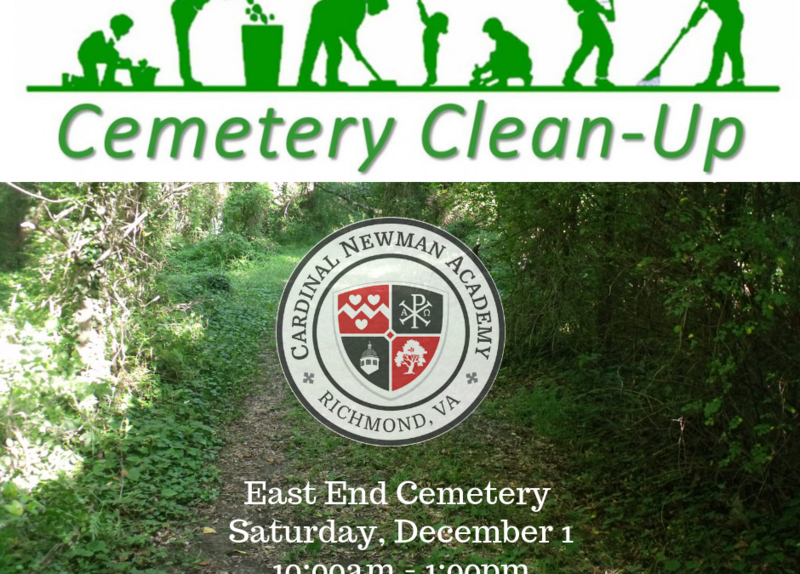 Join the Riverhawk Service Club on Saturday, December 1 at East End Cemetery 50 Evergreen Road Richmond, VA 23223 at 10am for the cemetery clean up. We recommend you wear denim jeans and heavy shoes or boots. There is broken glass, pieces of rusty metal etc., on the site. The clean up may last two to three hours, but you are free to come when you can and stay as long as you can. There is no water available, so bring something to drink. There is a portable toilet available. good, heavy gloves to handle glass, briars, etc. There are additional tools available if you do not have any. 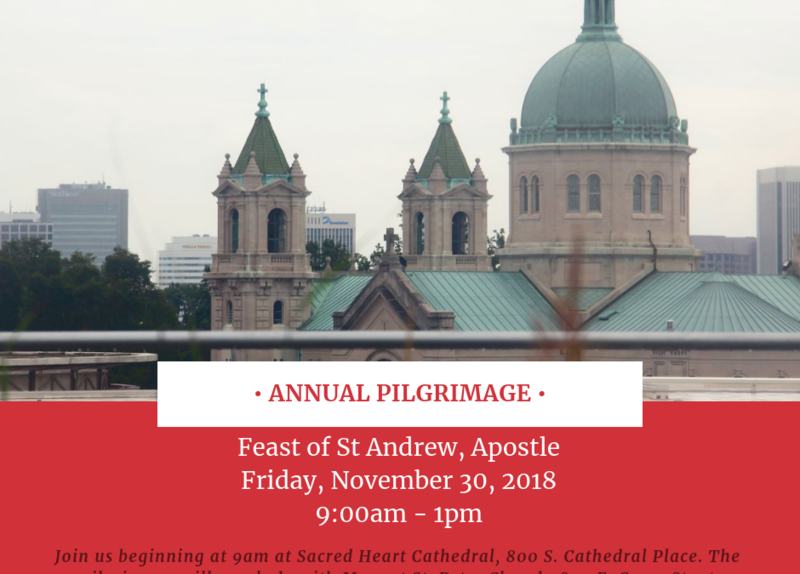 Cardinal Newman Academy invites you to join us on our annual pilgrimage! 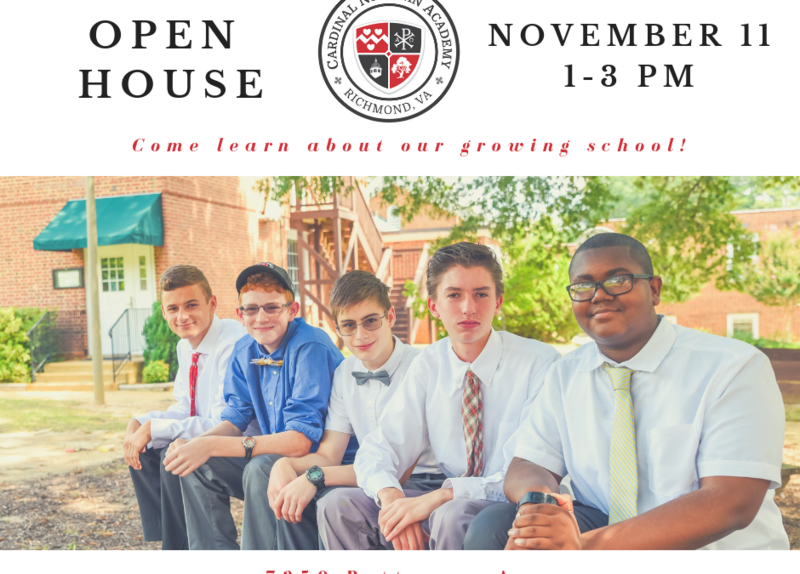 Meet Friday, November 30 at 9:15am on the steps of The Cathedral of the Sacred Heart 800 S. Cathedral Place, Richmond VA 23220. After a visit at the Cathedral and tour of this historic landmark, we will walk to St Peter Catholic Church, the first Catholic church in Richmond and the original cathedral of the diocese. Once at St Peter (800 E. Grace St, Richmond, VA 23219) pilgrims will have the opportunity for Confession and then we will attend Mass at 12:05pm. 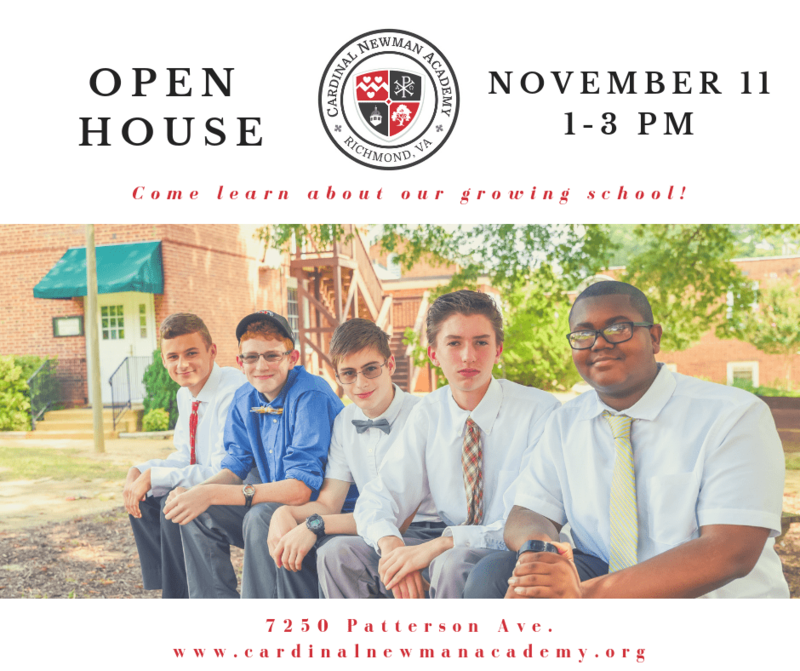 For more information, send us a message today, or email info@cardinalnewmanacademy.org.